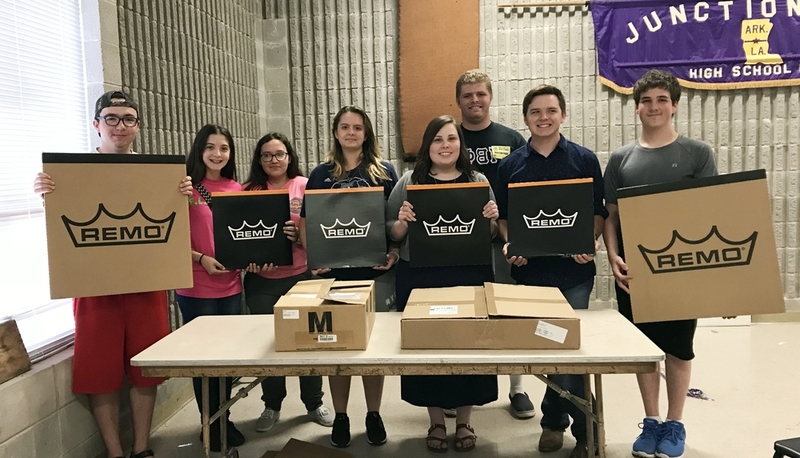 JCHS Band receives equipment donation! Director Katie Nugent and the JCHS Dragon Band would like to thank Louisiana Tech University’s Chapter of Phi Buda Ruda for their generous donation of percussion equipment for our marching band. PBr representative, Kendrick Kruskie personally delivered the equipment during band class last week!